Aaron Hedges is an API Product Manager at Vimeo, the popular video sharing website. In his seven years working at Vimeo, Aaron has worked on everything from hands-on development to product-focused design for their developer API, so we’re certain he has many insights to share. At our 2018 Nordic APIs Platform Summit, Aaron will be sharing his extensive product management experience when it comes to rolling out significant product changes as smoothly and as effectively as possible (See his talk “Managing Change: How To Adapt Your API To A Frequently Changing Product”). When asked why he chose this topic, Aaron stressed just how difficult it is to grow an API product without hurting any of your developer community’s integrations. Introducing changes seamlessly can be a time-taking process. Thankfully, Aaron will be sharing some of the strategies he’s personally used to keep things rolling at Vimeo while they constantly improve the product. I find this topic interesting because changing APIs can be scary. You don’t want to break integrations, but your product needs to adapt and grow to succeed. Websites have solved this problem, but there’s a human component there. We’re great at understanding change in websites, but computers haven’t figured out how to understand change in APIs. In this talk I go over a handful of different techniques I’ve learned at Vimeo to keep the product moving, while keeping your users happy. One of the biggest trends in the API world right now is open banking: putting banking data in the hands of its rightful owners. Instead of putting data in everyone’s hands, Hedges wants to put APIs in everyone’s hands. He’d like to see more and more inexperienced developers getting their toes wet with APIs, and he wants to make sure that Vimeo facilitates their API journey. I think we’re going to see a steady increase in new, inexperienced programmers interested in using APIs. Some might just be new coders, but I’m also excited for the non-programmers who have basic programming literacy and need to hack together a quick script to parse data. APIs bring so much power at such little cost, and we should be strengthening our educational and design efforts to ensure these individuals with entry-level programming knowledge can be successful. In other trends, APIs look like they might become the go-to language for B2B communication. Of course, that’s only possible if we as a community use the same standards to build and use APIs. We got his take on this during our interview; he likes the standards in this space, but he thinks we can do better. There are some great industry, or subject specific APIs that have become de facto standards, but there’s still a lot of work we can do to make APIs more compatible. Open API and JSON Hyper-Schema are steps in the right direction though, and I’m excited to see what comes next. Adding to that, he describes the virtue of best practices and standards as an easy way to stop making the same mistakes. Sometimes, it’s best just to accept that the optimal shape for a wheel is round. Best practices ensure we move fast and learn from our mistakes, and standards should just be a formalization and promotion of these best practices. The Toughest Thing About API Practice? Aaron thinks there’s no universal “tough bit” of API practice. However, he does touch on how a lacking public awareness for APIs may leave developers struggling to “sell” their importance. Building great developer portals, as part of an overarching focus on developer experience, may also prove difficult for bigger APIs. I think [problematic areas] depend on the industry. Selling APIs to non-developers is harder than a dev-focused product like a logging service. Dev portals can be challenging for very technically complex, or feature-rich products. Monetization may also prove tricky with the large majority of APIs. The current shift towards treating APIs like a product, with everything from marketing to customer service, is only making this more relevant — how do you create an awesome software product that pays for itself (without deterring customers)? Monetizing might be the challenge applicable to the most amount of APIs. Your monetization strategy influences so many parts of your business that it’s important to get it right. Watch Aaron Hedges speak at 13:00 on Day 2, Oct 24. 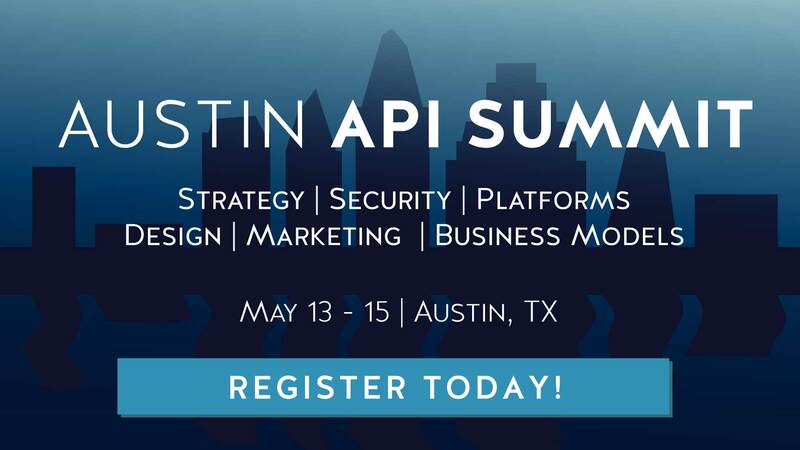 Our 4th annual Platform Summit features a range of the most experienced and enthusiastic API practitioners from around the world, presenting on the topics closest to them. With everyone from systems architects to sales manager, our event explores the API from every angle. Aaron is looking forward to meeting a forward-thinking API community at the Summit, and we’re sure he’ll love the presentations we’ve got in stock for everyone. I’m hoping to learn a lot about APIs [at the Summit], and chat with fellow attendees. I find the API community has always been very willing to discuss problems and solutions, and I’m excited to have those discussions. It’s Aaron’s first time in Stockholm, so we hope you can make it there to welcome him. Even if not, you can sign up to our newsletter (Aaron-approved) for all the Summit’s highlights. I’ve been on the mailing list for some time now, and have always been happy with the interesting variety of API articles you release.